Moray Local Action Group (LAG) are looking for new blood to join them and help steer the Moray LEADER Programme through to a successful conclusion in 2020. The Moray LAG is responsible for the oversight and management of the Moray LEADER Programme and its Local Development Strategy. The call for volunteers is intended to strengthen and refresh the group and bring in new members with local knowledge and understanding of Moray’s local economy and communities. Interested applicants will be subject to a recruitment process, and those who are successful will be expected to play an active role in the oversight and management of Moray LEADER, which supports communities and businesses across Moray by funding projects that contribute to economic and community development and help to build a better future for Moray. 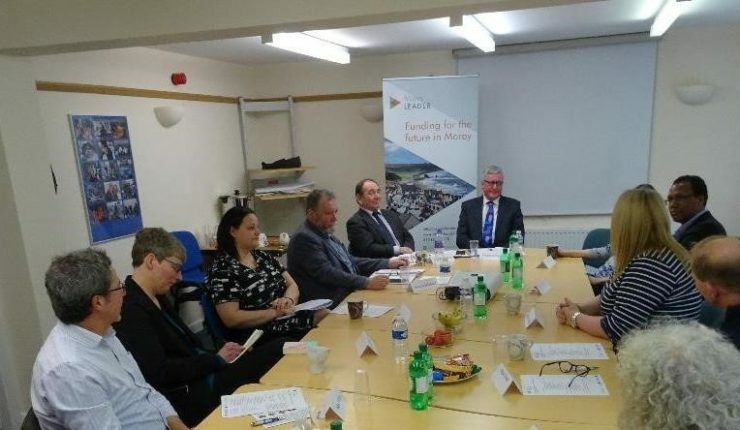 Moray LEADER is funded by the Scottish Government and the European Community LEADER Programme 2014-2020, with a budget of around £3.5 million to fund projects and to run the programme in line with the Moray Local Development Strategy. “We have a very strong Local Action Group but recently a couple of members have moved on so we want to recruit some new volunteers to strengthen and refresh the team. Ideally, they will come from different parts of Moray and bring knowledge and understanding of the area’s communities and economy. “The LAG meets quarterly and the main responsibilities are to steer the direction of the local strategy and to make decisions on which applications are successful in their bids for funding. Anyone who wants to find out more about being a LAG member should contact Moray LEADER Programme Manager Norman MacAskill by emailing norman@morayleader.org.uk or phoning 07388 990668.